Participants of the Ministerial Conference of the Non-Aligned Movement (NAM), which was recently held in Baku, welcomed the continuous progress in implementation of the Lapis Lazuli transport-transit project on the Afghanistan-Turkmenistan-Azerbaijan-Georgia-Turkey route, according to the Turkmen Foreign Ministry. The NAM final declaration adopted in Baku reflected the initiatives on implementation of large-scale regional infrastructure projects in the transport and energy sectors. The message also says that the Baku declaration noted efforts to implement the construction of the Turkmenistan-Afghanistan-Pakistan-India (TAPI) gas pipeline and the Turkmenistan-Afghanistan railway. Afghanistan, Turkey, Turkmenistan, Azerbaijan and Georgia signed an agreement on the creation of the Lapis Lazuli transport corridor which is set to connect the five countries on November 15, 2017. The trans-regional corridor will encompass mainly railways and highways, which will connect the city of Torghundi in the Afghan province of Herat with the port of Turkmenbashi on the shore of the Caspian Sea via Ashgabat. 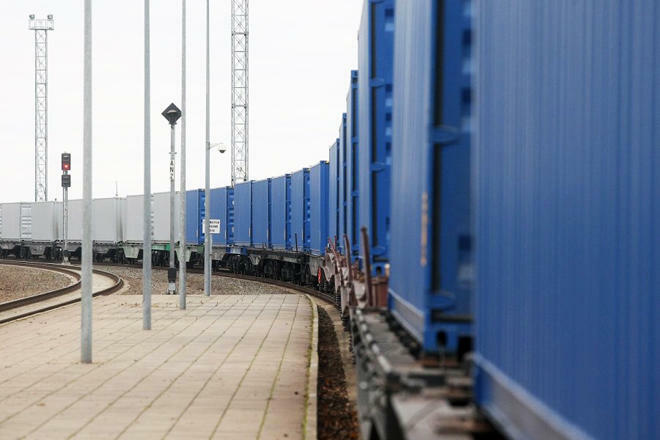 From Turkmenbashi, goods will be able to travel further by ferry to Baku, where they would be placed on train cars and continue westward to Europe across the South Caucasus via the newly launched Baku-Tbilisi-Kars railway. Further, the corridor will pass through Tbilisi to Ankara with branches to Poti and Batumi, and, then, from Ankara to Istanbul. The budget of the project is estimated to exceed $2 billion. Consultations on the creation of the transport corridor began back in 2012. The initiative seeks to improve transport infrastructure and procedures (including for road, rail, and sea), increase exports, and expand the economic opportunities of citizens in countries benefiting from this new transport corridor. Barriers to regional trade and transit and transaction costs will be reduced, in part, through a new Custom Integration Procedure and, between Afghanistan and Turkmenistan, a new Cross-Border Transport Agreement. Its projected impact is considerable not only because most of the needed infrastructure is already in place, but also because most of the investment required will focus on improving policy and governance. The name ‘Lapis Lazuli’ is derived from the historic route that Afghanistan’s lapis lazuli and other semiprecious stones were exported along, over 2,000 years ago, to the Caucasus, Russia, the Balkans, Europe, and North Africa.